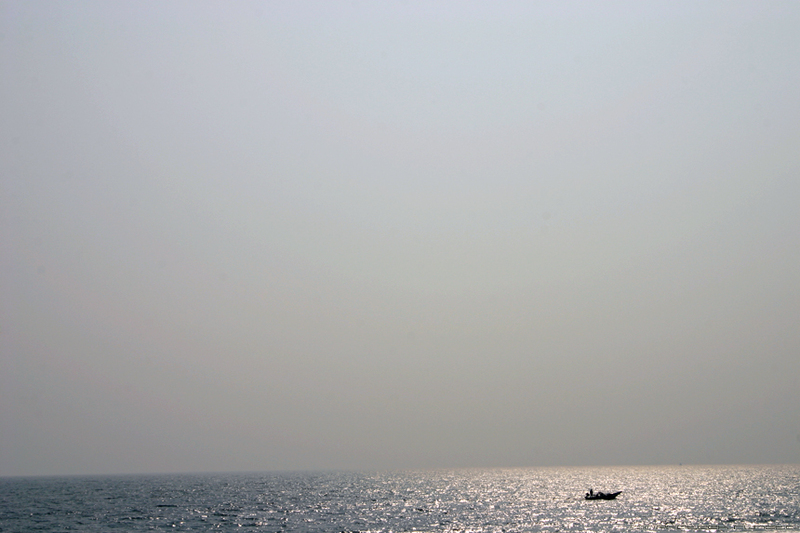 The Bay of Bengal off the coast of Puri, Orissa. Update : Satisfy your wallpaper needs with the high resolution copy. ohh!! and i see that dude staring at(? )...->' you'(?)too!! Thanks a lot Mohit and Rashmi. @Sourima: I think the dude was staring at the 'curves' on the beach and not at me. amazing.... the vastness.... i want a bigger resolution.... where did u take it from... the beach? I've linked the post with a hi-res version so grab that if you wanna use the image as your wallpaper. @Nag: Yup, I shot this one from the beach. @Sumit: The vastness does indeed take away one's breath. @Sourima: The curves men stare at are definitely a lot different that the Earth's curve ;).